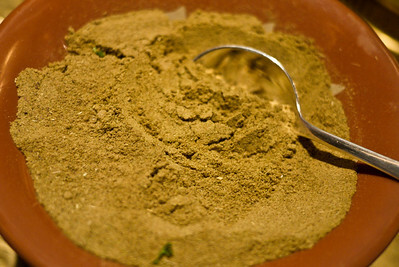 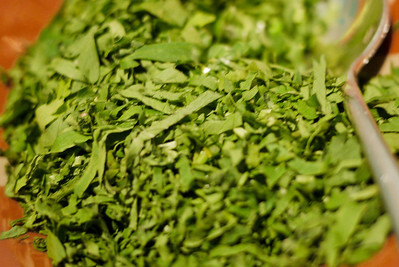 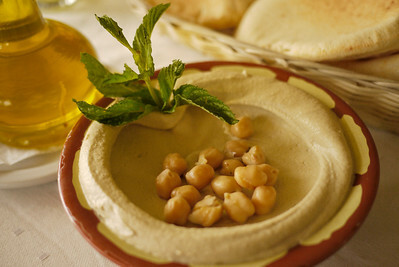 Jordanian and Middle Eastern foods, drinks, and spices. 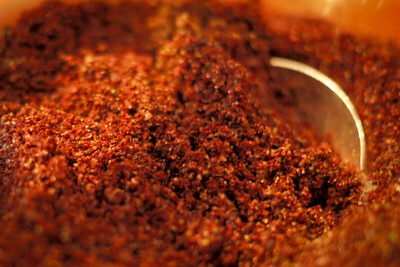 Chili peppers make this dish quite spicy! 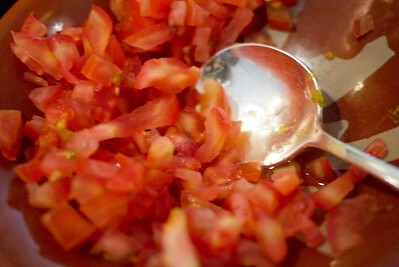 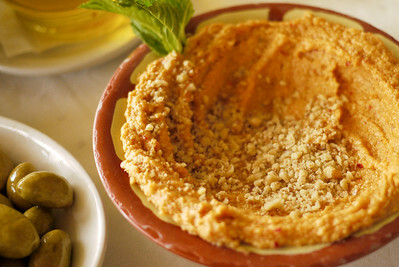 Closeup of hummus dip as a Jordanian mezze to start the meal. 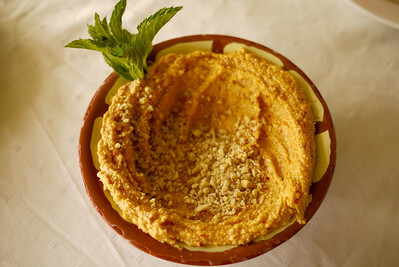 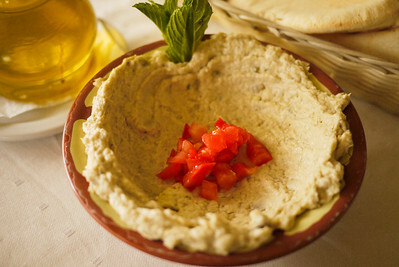 Moutabel, a creamy roasted eggplant dip reminiscent of baba ganoush and served as a mezze. 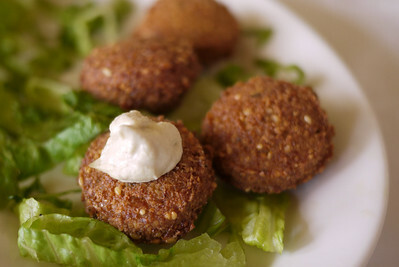 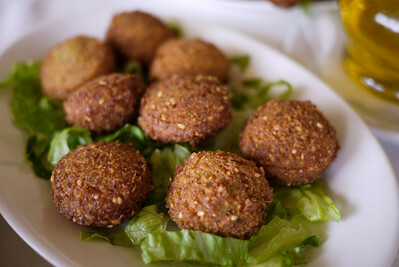 Falafel, deepfried mashed chickpeas served hot and traditionally with plenty of pita! 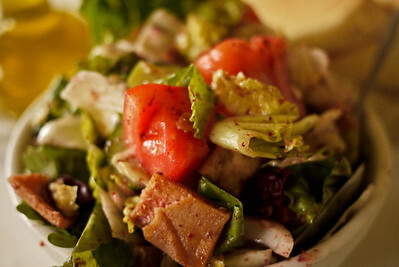 Fattoush, crispy fried pita and fresh vegetables in a delicious and light oil with sumac for a tangy and tart flavor. 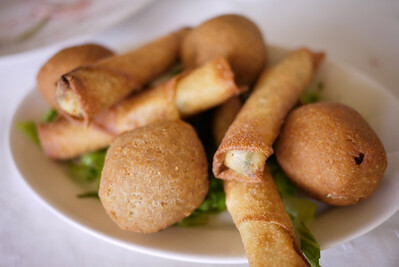 Fried mezze, some meat, some with just cheese. 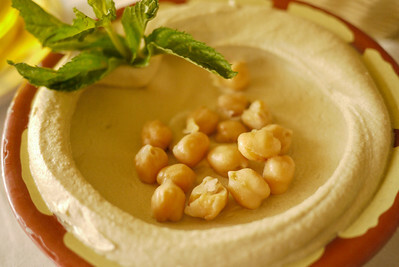 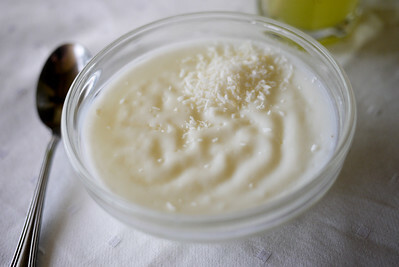 A delicate and light rose-water pudding dessert at a Lebanese restaurant in Jordan. 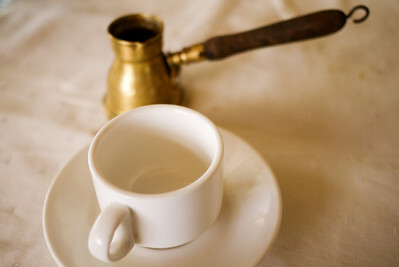 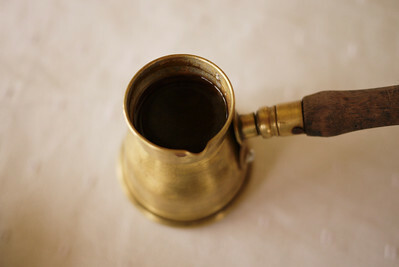 Classic Arabic coffee served hot and fresh. 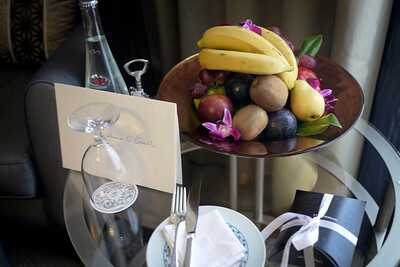 A welcome gift from the Four Seasons Amman, Jordan. 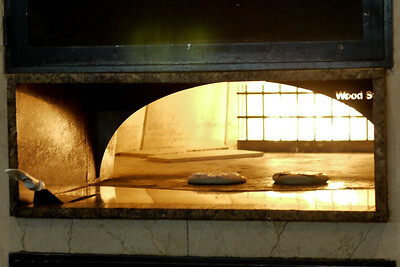 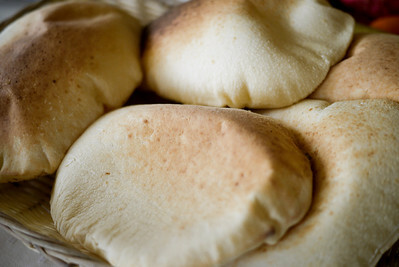 A Manakeesh breakfast baking in the hot oven. 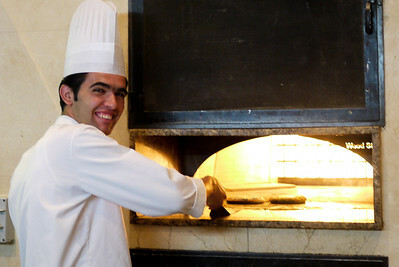 Chef making baked pita bread with za'atar for breakfast. 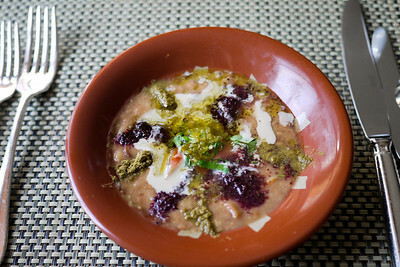 Foul (ful) Mudammas is a dish made from fava beans and topped with spices and seasonings. 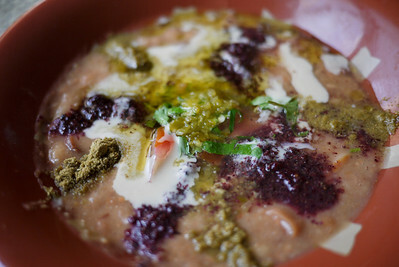 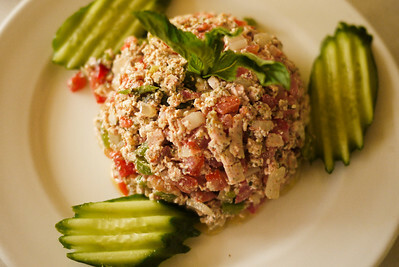 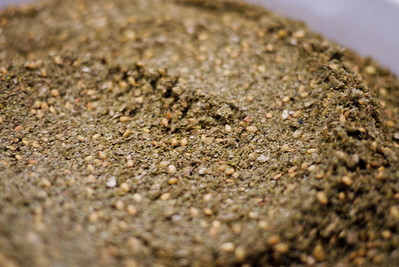 Foul (ful) Mudammas, a local MIddle Eastern dish made from fava beans and topped with spices and seasonings and eaten widely across the region.